Improving human health in changing environments. These three challenges concern the whole planet and most particularly developing countries in Africa, Asia, South America, especially in inter-tropical areas, and around the Mediterranean Sea. Agriculture, environment, biodiversity, biology and health sciences are at the core of this project. For each of these disciplines, and in addition to research support in the mentioned fields, MUSE will dramatically transform the way we work and will lead to building bridges between: agriculture and environmental sciences to address concepts and prospects in agro-ecology; environment and health sciences to cover the new area of ecology of health; and, between health and agriculture to establish a link between nutrition and well-being conditions. To reach these goals, MUSE will connect the above-mentioned core sectors to chemical, social, natural, formal or engineering sciences. Indeed, chemical sciences and chemical engineering are essential to our project, not only because they are linked naturally with pharmacy, bio-health or biochemistry of plants, but also because they will open new horizons for bio-sourced materials, soil remediation, material recycling or energy storage. 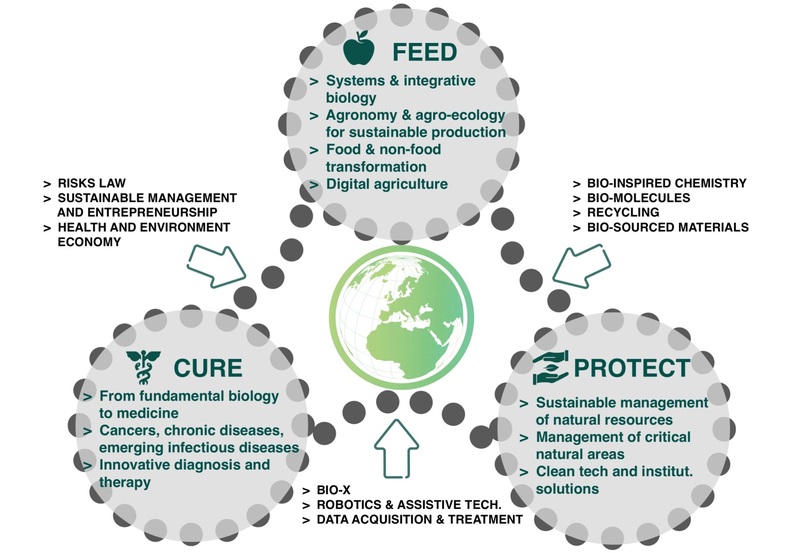 Bioinformatics, biomathematics, biophysics are instrumental as well, as the needs for modelling and data processing are crucial for agriculture, environment and health sciences or for creating tools available for societies to develop a smart governance of resources and ecosystems. Moreover, expectations are growing for new ways of collecting information (electronics) or assistive means to physically interact with the environment and with Humans (robotics). MUSE encourages the stronger integration of social sciences by leveraging the excellence of its partners in this vast scientific. Such expertise will strengthen the core domains by addressing issues such as the legal and ethical aspects of risk prevention, the equilibrium between development and preservation of rights, or even the economic component of health systems. This knowledge will be instrumental in the transformation of scientific innovation into societal innovations by developing entrepreneurship and appropriate management approaches. 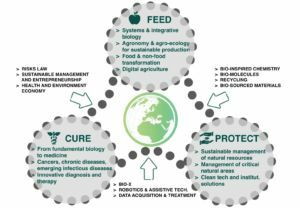 Through these approaches, we will achieve scientific breakthroughs and drive industrial and societal innovations in agriculture, human health, and environmental sectors. Hence, MUSE will create a transformative effect by opening the University to new partnership opportunities with the public sector (guiding public policies) and the private sector (from startups to major companies, NGOs and foundations).